But you can also choose to spend your holiday in Cancun, during a 3 nights getaway at the Great Parnassus Family Resort from only $699 per person. This is also an all inclusive vacation package that also includes airfare. Choose whichever offer suits your plans and travel deals better and book it before the deal is gone! The Puerto Vallarta getaway from the top includes everything you need for perfect relaxation. You will get 3 nights stay at Sunscape Puerto Vallarta Resort and Spa, flight from Los Angeles to Puerto Vallarta and back, unlimited fun all inclusive service at the resort plus taxes. 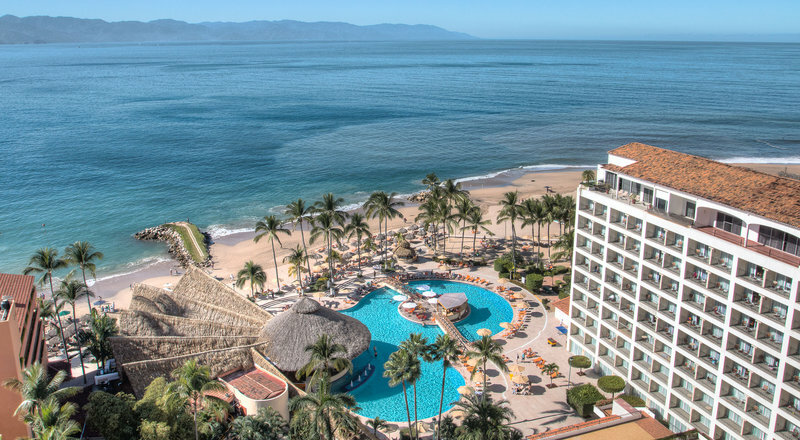 As an all inclusive resort, Sunscape Puero Vallarta will provide you with all your meals, 24 hour room service, all drinks, beach access, pools, many activities for the day and entertainment for the night, Kid’s Club for young guests and more. It would be very advantageous if you could choose the 7 nights version of this getaway, at the same hotel, with the same details, as it costs only $799. You might had another Mexican destination in mind, or perhaps an island on the Caribbean for this summer. In any case, do a one minute research by selecting providers that you would like to compare and adding your departure and return dates and locations. Click and browse tons of great Mexico vacation packages. This entry was posted on Wednesday, March 15th, 2017 at 9:08 am and is filed under Top Deals. You can follow any responses to this entry through the RSS 2.0 feed. You can leave a response, or trackback from your own site.